In addition to the multiple species and jaguar sighting in February, a photo was captured of a female jaguar and her young! This gives us tremendous hope for the future and survival of the species all together. With your help, we can continue these efforts and protect these beautiful cats. In May 2015, GreaterGood.org began the Predator Conservation Program to protect predators in the Sky Islands Region in Sonora, Mexico. In November, ranchers signed conservation agreements to set up wildlife cameras in prime habitats of northern Mexico to document unique wildlife. After two months, Tom Van Devender—director of GreaterGood.org's Biodiversity Programs—had the opportunity to see the images. Nineteen species of mammals and four birds passed in front of the camera in two months—including one special creature. 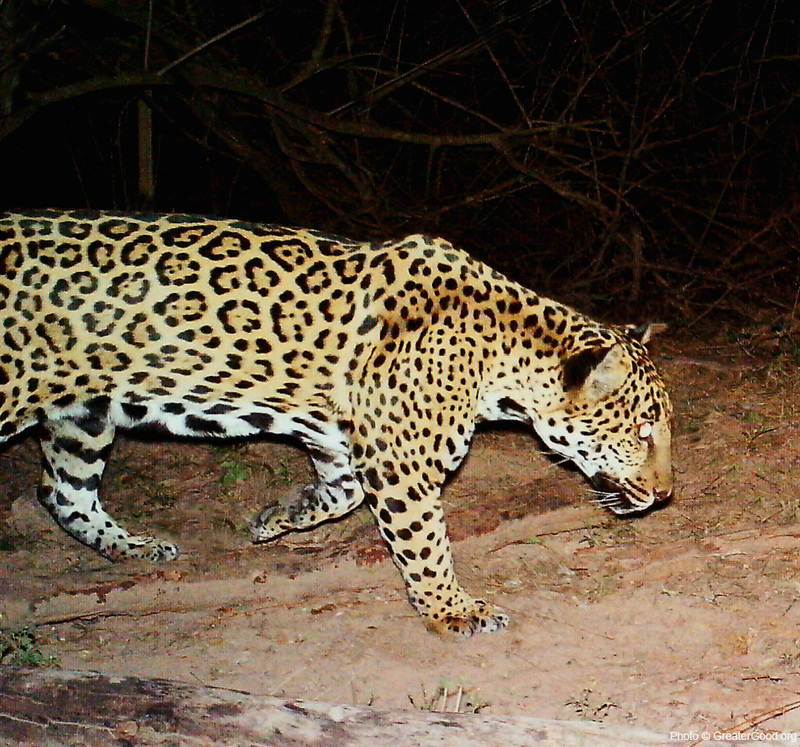 Panthera onca, or more commonly known as the Jaguar, was spotted on two cameras! This is a huge breakthrough for GreaterGood.org's Madrean Discovery Expeditions. Thanks to your help, we're getting a much clearer picture of the diverse wildlife found in the Sonoran Sky Islands. Please continue to support Project Wildcat!